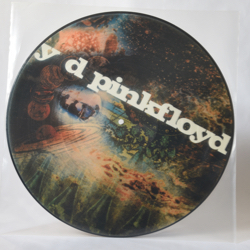 Description: This is a Pink Floyd picture disk 33 1/2 rpm record that features interior art from Strange Tales 158. It is a limited U.K. edition disk. Because of the way the image is clipped for a curricular disk, you can only see a portion of Dr. Strange on the right side. The Living Tribunal is also just visible on the left side of the image. 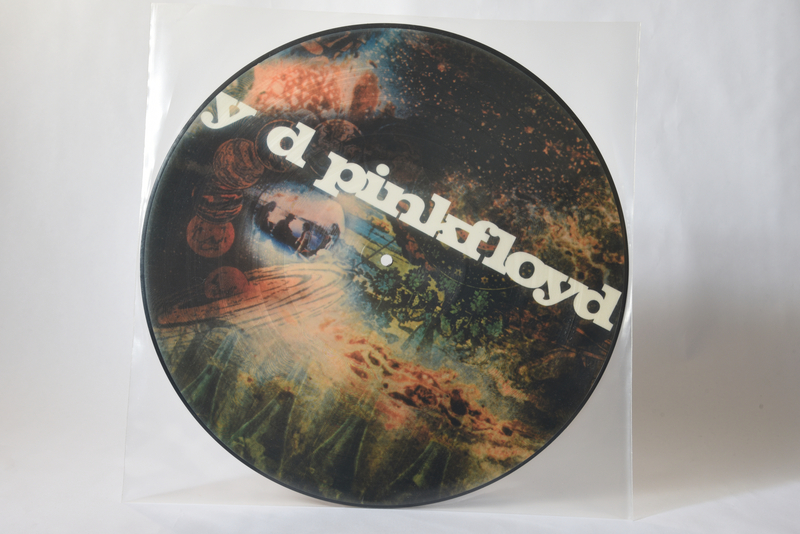 Storm Thorgerson was the artist for the picture disk. He said the following in an interview. "The cover is an attempt to represent things that the band was interested in, collectively and individually, presented in a manner that was commensurate with the music. Swirly, blurred edges into red astrology/Dr. Strange images merging into images, a million miles away from certain pharmaceutical experiences. Beginning with Saucerful, they were beginning to experiment with more extended pieces and the music would cascade and change from thing into thing."